On our weekend visit to Dublin, our hosts took us to the Irish countryside to visit some old ruins. One of them was the site of the Priory of St. John The Baptist. We were able to climb around all over the place, including up some winding stairs. In the stairwells there were very narrow windows and I thought they might make an interesting frame for a pinhole photo. This (and the other places we visited) were amazing to me, having never been around such old ruins before. I was impressed by how much of the structure is still standing, and that we could still (fairly) safely walk up the stairs! The place was built in the 13th century! 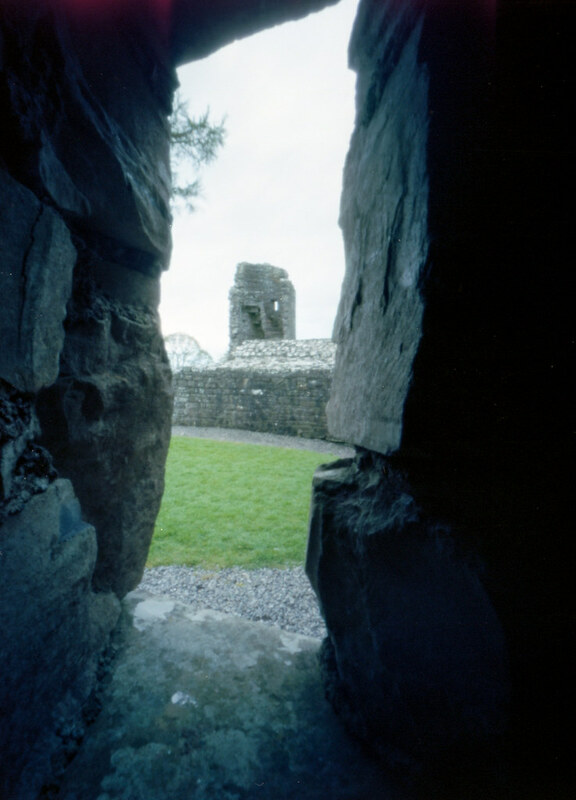 I have some pinhole photos from the other places, and will post them later. Stay tuned!